Have you been dreaming about hiking, biking and walking around your favorite campground? Then hitch up this trailer and start living your dreams! Your kiddos will love the bunk beds when they finally come inside to go to bed, and you will be able to fall asleep quickly on your own queen bed. 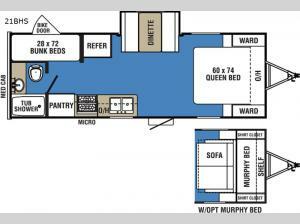 You might have decided to choose the Murphy bed/sofa option instead, it's your trailer. 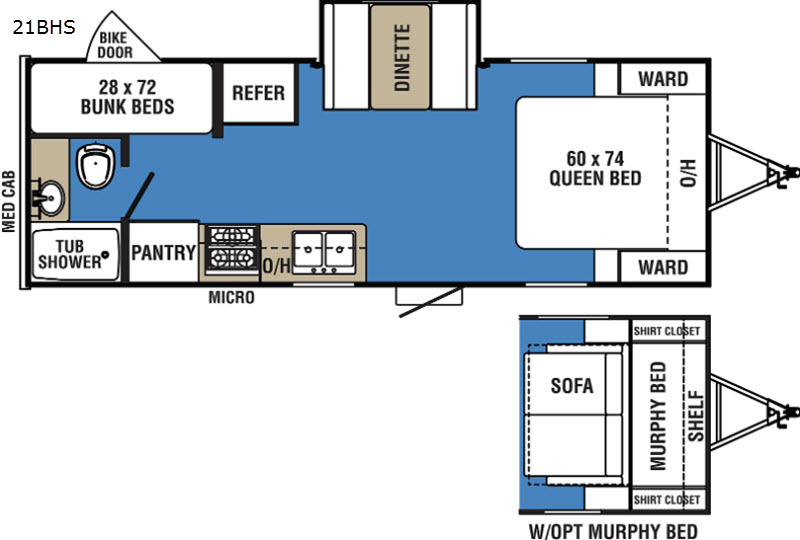 The full bathroom is next to the bunks allowing everyone privacy when changing for the day, and the full kitchen allows you to make meals when you like. So head out for your outdoor fun!